A balanced and healthy lifestyle shouldn’t be restricted just for our free time. We spend 8-12 hours a day at work and in a fickle economy, people are increasingly coming home to work on a side hustle. If we’re to live a healthy and well-adjusted life, then, we must be sure to carry our good habits into the world of work. But there’s more to this than taking the time to prep and pack healthy lunches and making sure that you take a break from sitting every half an hour to mitigate the damage that hours spent sitting can do to our bodies. It also includes guarding against the people who can toxify your working environment. With coworkers, we’re usually able to ignore or block them out, but when that toxic person is our boss it’s a whole other ball game. It’s harder not to be influenced by a man or woman who could hold the keys to your career in their hands. Horrible bosses are real! While movies like Office Space or Horrible Bosses may make light of the subject, a bad boss can have the same effect as a school bully. They can make us miserable, cause us to miss work and seriously impact upon our mental health, potentially damaging our careers. Here we’ll look at some different kinds of real-life horrible bosses and how you can handle them effectively. Whether your boss is telling inappropriate jokes, making lewd comments about another member of staff or even being aggressively affectionate to you or your colleagues, this kind of behavior is not acceptable. Check your employee handbook for the correct protocols on situations like this or if you feel that you are being harassed take the matter straight to a harassment lawyer. They will be able to tell you if your boss has committed an infraction upon any state or federal employment laws and advise your further. We’ve all had this kind of boss. It’s not that they don’t like you or pursue a vendetta against you… In fact, they barely even seem to know that you exist. They are a veritable whirlwind of activity. They’re always dashing from one department to the next. These bosses are too busy to stop to talk to anyone and often curiously absent from meetings. Getting the leadership and professional development you deserve from a boss like this can be a real nightmare. You can compensate by staying in close communication with your team. Be sure to also keep your boss abreast of what’s going on in their absence via weekly email shoots. If your boss won’t give you the opportunity to excel, you need to take it yourself! They’re like The Office’s Michael Scott but without the (sort of) endearing childishness and the malice of a season two Dwight. For whatever reason, they believe themselves to be the world’s leading authority. They won’t deign to accept criticism of any sort from the likes of you or your colleagues. These bosses see their role as a vehicle for themselves. And will take credit for your achievements without thinking twice if they think it will further their career. There’s little chance of changing this type of boss’ mind. Your best bet is actually to play the game with them. Compliment them on their good advice and help them to feel in control. If they don’t see you as a threat, you’re far more likely to have their ear. 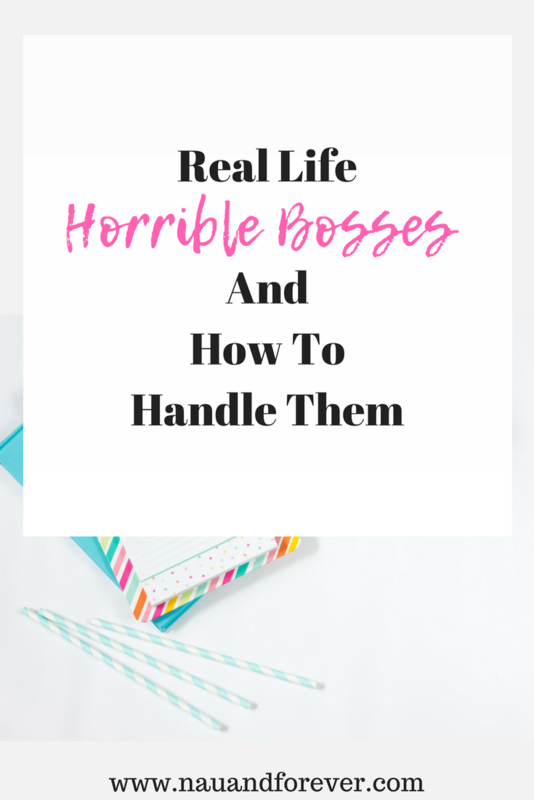 We all encounter horrible bosses, but they can all be tamed when you know how to handle them. Have you dealt with a horrible (or quirky Michael Scott type) boss before? I’d love to hear your story!